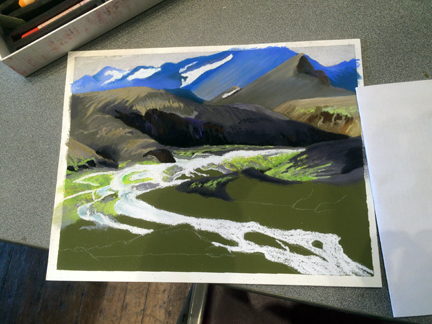 Linda A. is slowly and carefully building this glorious landscape in pastel. 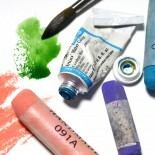 She has a great command of value and is able to tinker with color to suit her purposes while maintaining the sense of place. 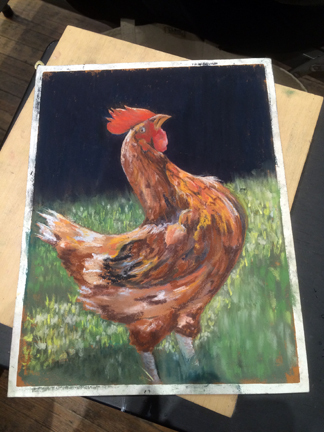 Cissy’s late chicken immortalized in pastel. I love the light illuminating her contours. 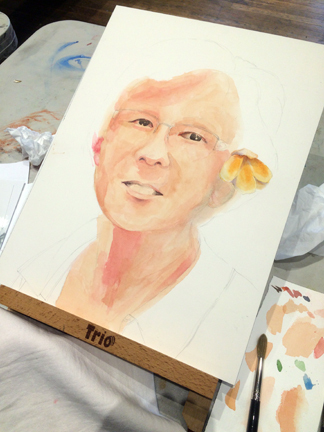 Wan continues to explore portraiture in watercolor–a very tricky and difficult endeavor. This lively and expressive painting is from a photograph of his sister. 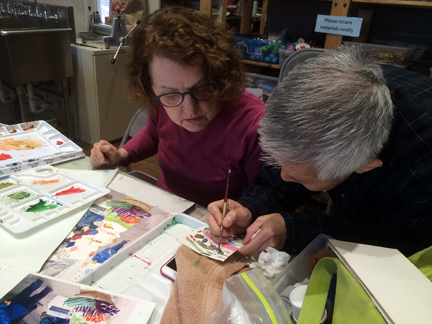 Someone is always demonstrating a technique, providing an impromptu critique, sharing encouragement, or suggestions for art materials. It is a most collaborative, community-oriented group–makes me super happy to be with everyone. This entry was posted on March 3, 2015 by ellen3c in Pastel, Portraiture, Watercolor and tagged Chickens, Cissy Webb, Community, Landscape, Linda Andreatta, Marian Wiseman, Wan Lee.